If you drive through Russell County, Virginia, you will eventually find yourself maneuvering through the beautiful pastures of the Stuart Land and Cattle Company, a farming outfit that has raised some of the finest beef cattle in America, for longer than any outfit like it has existed. The company is said to own about 16,000 acres today, but once held as much as 45,000 acres in the scenic majesty of the Clinch Mountain range. A new book has just come out on the Stuart farms and it is a very good piece of literature about the area. Kathy Shearer, who owns and operates the Clinch Mountain Press in Emory, Virginia, has written Working for Stuarts: Life on One of the Oldest & Largest Cattle Farms East of the Mississippi. It details the uniqueness of the story of this great enterprise and the people who worked and resided on the large acreage of the farms. My ministry began by being appointed to serve the churches at Belfast and Midway in the northeastern corner of Russell County, Virginia. I didn’t know then, but the communities there were somewhat dependent upon the Stuart enterprises in the early days. Belfast Mills grew up at the convergence of a large mountain creek and a bit of the old Fincastle Turnpike, where a milling community was formed for area farmers to use. Later a school was built on property just across the road from the Belfast United Methodist Church, where students came from the area to learn the basics of education. The parsonage I resided in there was built around 1912 by one of the Stuarts, who were stalwart in their support of the Methodist church in the county. 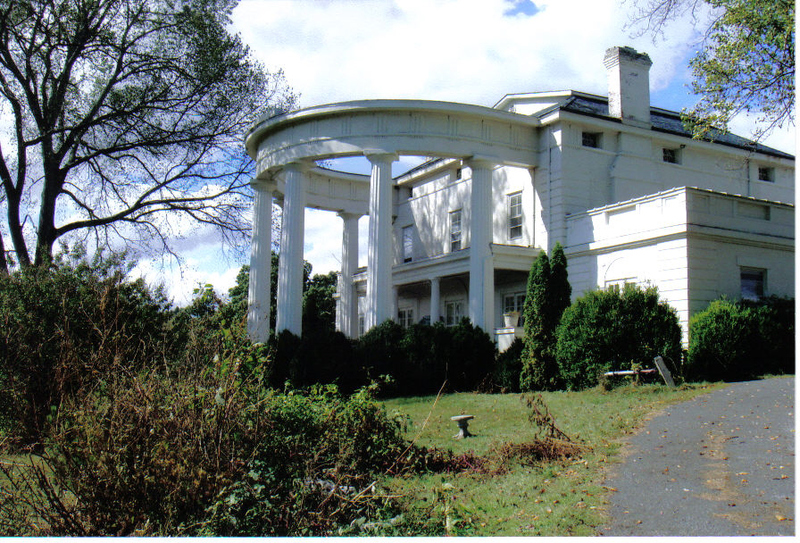 Once home to Governor Stuart, this mansion on the Elk Garden Farm of Stuart Land and Cattle Company belongs to descendants of Smiley Ratcliff. I interviewed several men who had served as pastor on the Belfast Circuit before me. Rev. Gerald McFarland remembered the circuit being composed of some eight churches, including Belfast, Harmony, Bradshaw, Clifton, Barrett’s, Midway, Green’s Chapel, and Dennison. He related that it was the practice of the day (in the 1960s) to go over to the Stuart’s “Clifton Farm” and borrow a horse from the farm manager to ride up and down the hollows there to visit the church people who belonged to the Clifton Church. He also told a tale of preaching there and the stove pipe fell out of the ceiling, making a thick cloud of black soot rise over the congregation. My time in the pastorate at Belfast and Midway allowed me to discover what was left of the old circuit. The circuit had been reduced somewhat during the late 1960s and early 1970s as the farm families moved out and the crowds dwindled. Clifton, Harmony, Green’s Chapel, Bradshaw, and Barrett’s were closed. All but Barrett’s were eventually bought by independent groups who operated what I call “mountain” churches therein. Barrett’s burned down, on the river road on the western end of the Clifton Farm. I tried to either meet folks in those congregations or worship with them when I could. I was able to get Bradshaw’s congregation to host a thanksgiving service one year where we brought Midway and Belfast to their church for the evening. The service had to be cut short because it was snowing the whole time and folks were worried the roads would get too slick. Farming still dominates the economy in this area, even though several of the farm families have had to find new ways to support themselves. The old rules of living in a Stuart-owned home while keeping the place clean and providing oneself a garden spot no longer apply. Some of my favorite times on the Belfast circuit included riding over on Clifton Farm and enjoying the bucolic scenery. It was good to clear the mind and rejuvenate the heart. The owners of the farms (Clifton, Rosedale, and the Loop) attended the Elk Garden congregation, which was not far from Belfast. Their home and several nearby residences stand as regal testament to a way of life that once supported a large economy in the mountains of this corner of Virginia. I highly recommend Kathy’s book. It is a large project and does a wonderful job with history, telling the story of this operation and it’s effect on the county. Thanks, Brad. Mary Peterson just directed me to your essay. I’m so glad you enjoyed my Stuart book. The Clifton Church is operating as an independent church with a very small but dedicated congregation. Darrell Reynolds is the pastor. I enjoyed holding a book signing in the fellowship hall there, which was well-attended by tenants and former tenants and their families. Wonderful folks.